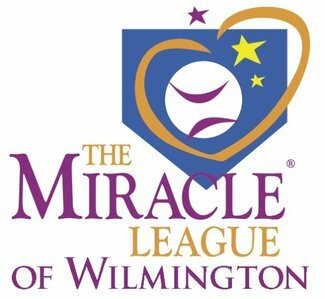 Thank you for your interest in having a group volunteer at The Miracle League of Wilmington, an accessible baseball league filled with joy, dancing, and home runs for children and adults living with disabilities in our community! We currently have close to 190 All Stars and typically need 40+ volunteers per game! Games will be played each Saturday at 10 AM, 11 AM, Noon, 1 PM, and 2 PM for 8-weeks beginning on March 2nd and ending on April 27th. There will be NO GAMES on April 20th due to the Easter Holiday. How will your group help? For Miracle League Game Days, volunteers will help buddy alongside our players, assist in the outfield and with player check in, just to name a few things! Buddies partner with a Miracle League player to assist them at bat, help them round the bases, and cheer them on all along the way! A volunteer group is ideally 10-20 volunteers for each game. You can schedule your group for all day or split them into morning and afternoon shifts - Whatever works best for you all! Volunteer orientations will be held multiple times throughout the season, and can also be shared online or scheduled on-site for groups. Thank you for making miracles happen in our community! We will be in touch with more details and to confirm prior to your Game Day.